I did have one artistically appealing book very early on. 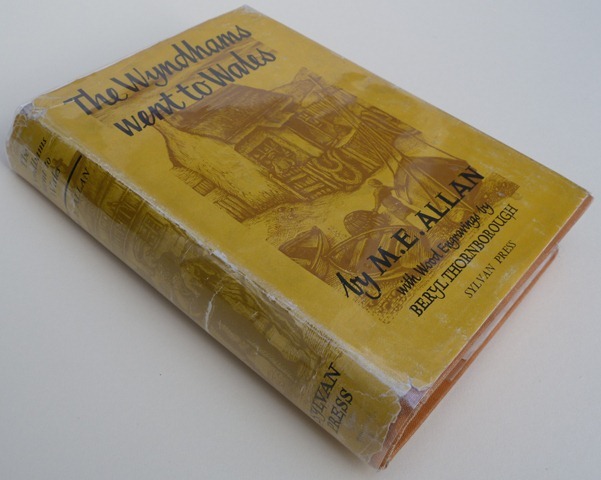 That was The Wyndhams Went to Wales, with its woodcuts. No doubt Sylvan Press, who were mainly art publishers, could afford to spend a bit extra, as they had paid me only fifty guineas for the whole copyright. The Wyndham family decide to spend a small inheritance on a five week holiday in Wales. Just as this is arranged, their mother’s friend Mrs Dane and her overbearing daughter Sally, and announce that they are also going to the same village, much to the dismay of the Wyndham children. Brian’s friend Bevis also goes with the family. They are staying in a house next to a farm housing a large family, and one of the young girls from the farm, Jenny Jones, is working in the house prior to going away to be in service in England, the thought of which terrifies her. Maris makes friends with her, and eventually the family decide that she will go home with them instead, which makes her much happier. Isabel is obsessed with boats and spends as much time as possible on the shore with the fishermen, and Candy plays with the children from the farm, which disposes of the younger children neatly, leaving the older ones to have adventures. The four older children explore the area on foot and by bike, but become increasingly fed up with Sally ordering them around. They find an abandoned shepherd’s cottage on the hills, and clean and tidy it to use as a base. They attempt to teach Sally a lesson by locking her in a shed until she promises to be less bossy, but the plan backfires when the landowner orders them off his land before they can release her. 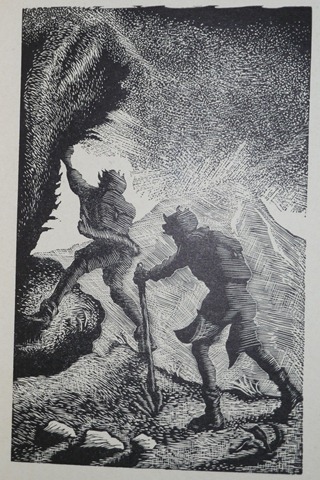 Maris goes up to the house to beard him in his den, and finds that his bark is worse than his bite, and he offers to let them row on his lake. When they get back to the shed they find that Sally has managed to escape, but she has realised how bad she had been and reforms. One day the children go to paint the door in the cottage, but find that a strange young man is living there, with his dog. He doesn’t look like a shepherd, and they overhear a bit of conversation he has, and promptly decide that he must be a spy. They try snooping in his cottage, but he catches them, and tells them that he is a journalist, trying to write about local life, but is struggling for subject. Jenny suggests that he writes about the Jones family at the farm. 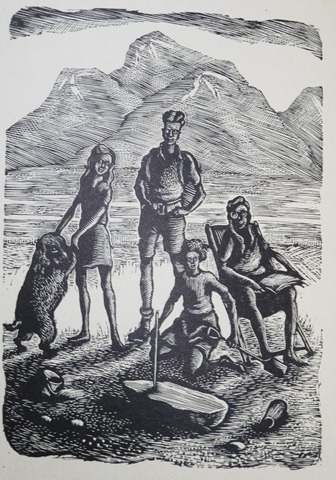 Maris has been wanting to go camping, and John suggests that the four of them and Isobel join him and his wife for a weekend camping, they have a good time but no adventures, these are saved for later, when Brian and Bevis climb Snowdon in a storm, and Bevis falls and hits his head, leading to them having to be rescued by a handy doctor and his friend. Isobel also has an adventure, hiding in the fishermen’s boat and sailing across to the sea to the over side of the bay (presumably the Lleyn peninsula) in the same storm. Neither party cannot get back that day, causing worry for the family, but eventually telephone messages get through via the Post Office. The story ends with Colonel Jenkins inviting everyone for a picnic on the shores of his lake, and telling them that he has a house he will let them rent next year, so they will be back next August. Jenny Jones, from the farm next door, who helps with the rough work at Ty Gwyn. She is said to have just left school, so is probably about 12. The Wyndhams live in England, but the location isn’t even hinted at. They go by train to Wales, ‘over a wide brown river’, and then along the coast to Llanechlin, the location of their holiday house, Ty Gwyn. There are enough clues in the text to place Llanechlin in Harlech (the Norman castle with round towers is a big clue!) and MEA confirms this in The Background Came First, saying that she once knew the area very well, and in Travels with a Rucksack she says that she visited Harlech for a fortnight in 1943, during the war. The camp is described as being on ‘a wild little rocky island called Puffin Island right away across the bay’, which sounds like Shell Island, now used as a camp site, although perhaps more rocky. It in fact has a causeway, and is accessible on foot via the beach, but the Maitlands use a boat to reach the mainland. Isabel’s boat adventure takes her to Aberllech, which seems to be Abersoch, across the bay on the Lleyn peninsua. After the picnic at the Colonel’s lake he takes them to see the Roman steps. Marissa went with her upstairs, which was very good and elder sisterly of her, for she was dying to hear Sydney’s adventures. 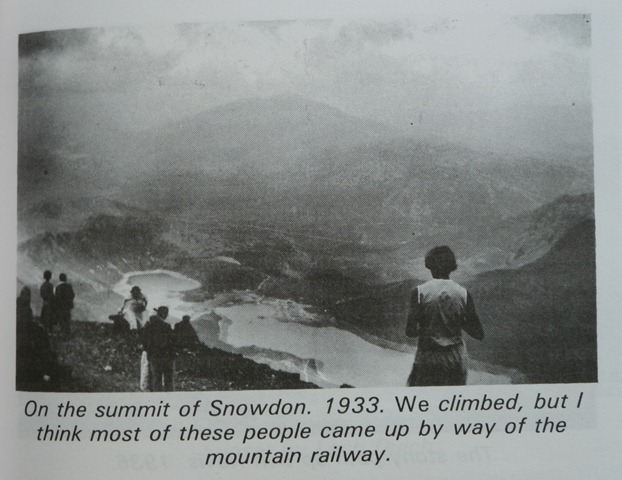 When Brian and Bevis climb Snowdon, they pass Llyn (lake) Quellyn – MEA obviously liked to get her Elsie Oxenham references in even so early in her career! Another nod to a favourite author may be the use of the name Candida – MEA was very fond of Katherine Oldmeadow (she writes about her in Ragged Robin Began It, one of her autobiographical booklets), who wrote a book called Princess Candida, although it wasn’t one of her favourites. But she liked the feel of the cold, salty sea better than she had ever liked anything in her life, and the old man who had been dead a long time but who had loved the sea, too, would have been proud of her if he had seen her standing so fearless and happy in the fishing boat. MEA’s love of all things folk comes out in the folk songs the children sing on several occasions. In Travels with a Rucksack, MEA describes crossing the knife-edge near the summit of Snowdon on her hands and knees on a windy day (she was burdened with a rucksack!) Presumably this was the inspiration for Brian and Bevis’s adventure in the storm. 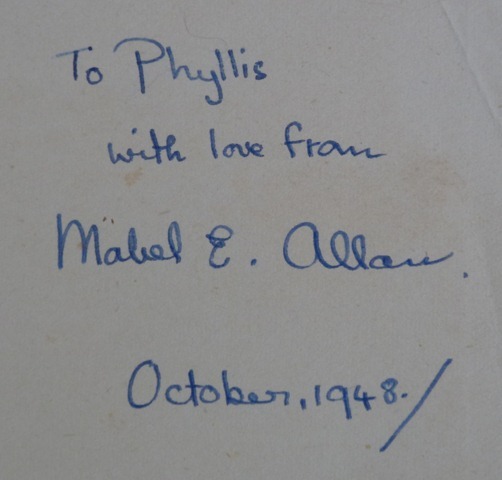 My copy of The Wyndhams Went to Wales is signed by MEA, and unusually it is a contemporary signature (she later signed every book of hers she could lay her hands on, in a vain attempt to make signed copies so common that dealers wouldn’t charge a premium for them). 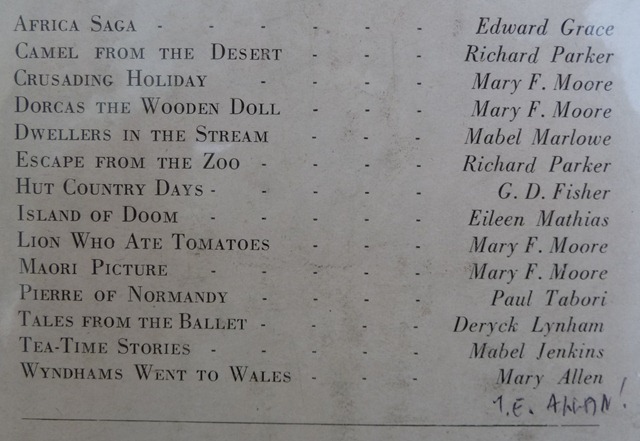 She has also corrected her name on the list of titles on the rear of the dustjacket!